SANTA CLAUS is coming to Red Chair Realty – ALL are welcome to come by to see Santa and to grab a quick pic, have a drink and enjoy the season along Tennyson Street for this first Friday in December 2018. 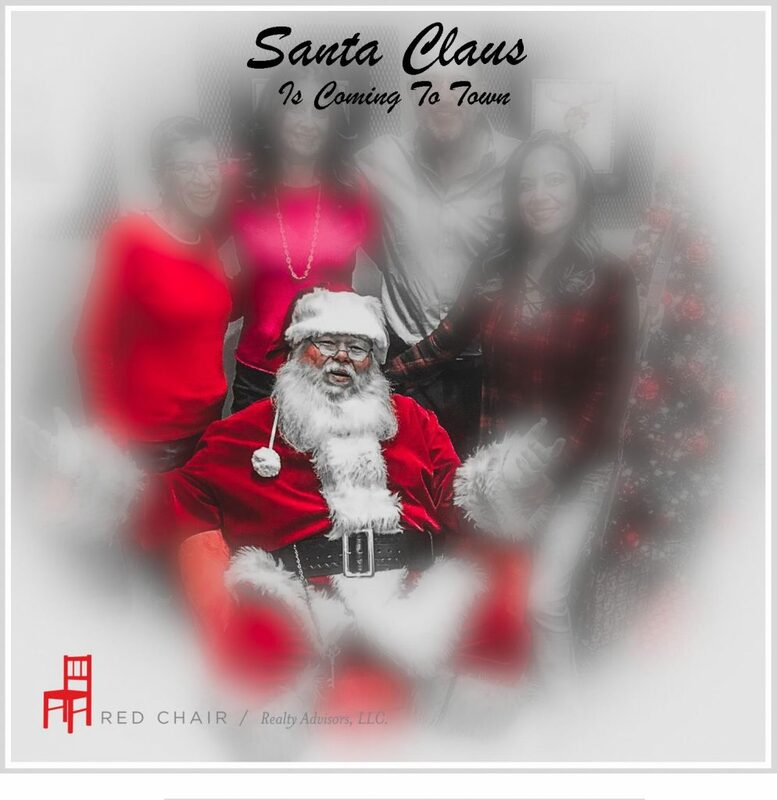 Red Chair Realty in Denver Northwest (Berkeley Park) welcomes Santa to their retail offices on Tennyson Street next Friday December 7th from 6:30 to 7:30 where refreshments will be served. Stop by to say hello and to give Santa you holiday wish list. Red Chair Realty, 4383 Tennyson Street, Studio 1-B Denver CO 80212, 303-761-3531 or 303-748-0317. Santa Claus is coming to town and to Tennyson Street, First Friday. December 7th 6:30-7:30 Swing by for a quick pic.